Home » News » Insurance News » Further Discounts Available! We are pleased to announce that we have further discounts available for motor traders involved in solely Mechanical Repairs & Servicing. 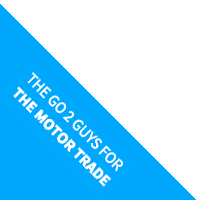 Please contact our office, on our local number 01215598896 to discuss your motor trade policy with us today! This entry was posted in Insurance News, Latest Updates, Nash Warren, Policy Information. Bookmark the permalink. Should the Motor Trade Industry use better use of their data? Are electric cars a potential hazard for service/repair garages?